Warm weather season is here, and that means outdoor entertaining with family and friends. But what if your outdoor space is not yet ready for backyard barbeques and summer night stargazing? No problem—our backyard decorating ideas will transform your patio into a serene oasis where your guests will look forward to gathering. And if you’re getting your house ready to sell and looking for ROI home improvements, these tips will help you turn your backyard from “meh” to marketable! 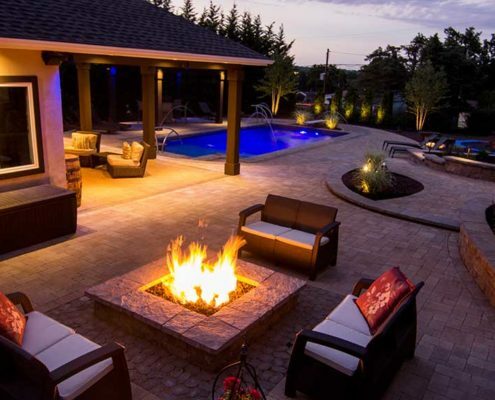 Bring friends and loved ones together around a fire by adding a gas fire pit to your patio or backyard. Fire pits and bowls act as a warm, inviting centerpiece for guests to gather, chat, eat, drink, or simply gaze up at the stars. Our ready-to-finish concrete fire pits are available in round, octagonal, square, and rectangular shapes and a variety of sizes. Design and build yours with the tile, marble, or custom finish of your choice. If you like the modern look of copper, our copper fire bowls are available in four stylish designs, with matching cover optional. 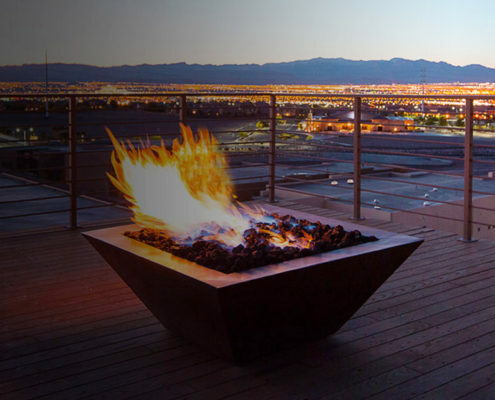 All of our modern fire pits and bowls come with the enclosure, gas burner, and burner insert of your choice. We even have remote start options so that you can have a roaring, welcoming fire at the push of a button! Keep your fire pits beautiful all year long with your choice of decorative fire toppings, including colored reflective fire glass and smooth lava stones. With this chic fire media, your fire pit will look stunning with or without a fire! 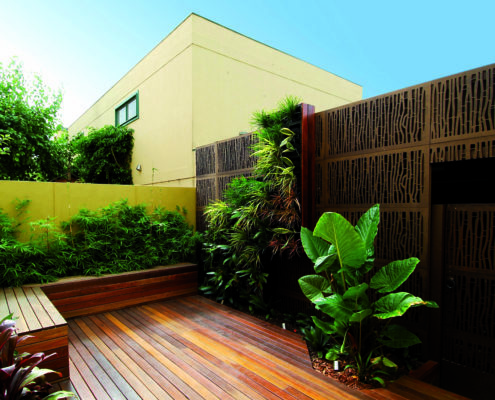 Upgrade your patio in an instant with our decorative outdoor privacy screens, which are available in 10 modern designs. These durable screens are made from 100% Australian hardwood, and can be left to age to a beautiful patina finish, coated with a sealant to maintain their look, or painted in the color of your choice. There are so many uses for these panels, from blocking out unsightly views and too-close neighbors to lining your balcony, creating a backdrop for your bench seating, or covering your fence. 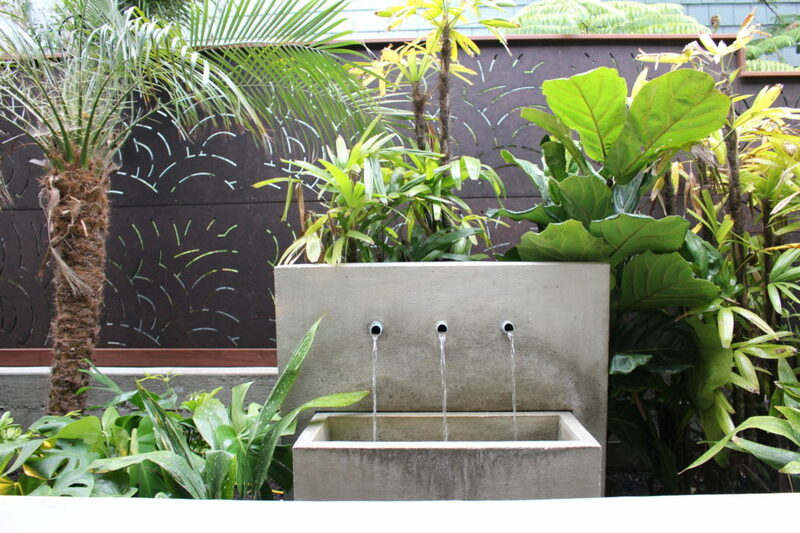 Made in contemporary designs, these privacy panels provide 60% to 90% blockage, depending on the panel style. 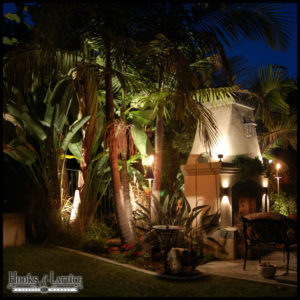 Don’t leave your updated outdoor space in the dark! Add some landscape lighting to illuminate your yard for your family and guests and to discourage break-ins with a well-lit home and yard. 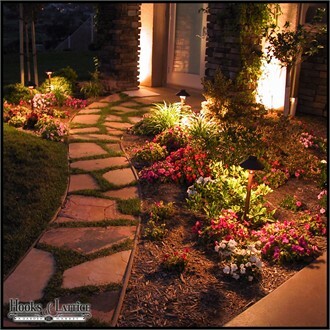 Light up your backyard, garden, walkway, stone path, or sidewalk with low voltage path lighting, available in brass and copper finishes, and a variety of design profiles. And because these durable lighting options are low voltage, they won’t make your electric bill skyrocket. 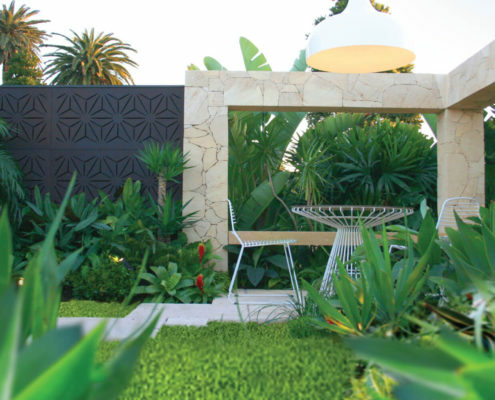 Bring the look of your new yard together with decorative accents like our eye-catching, outdoor planters, available in fiberglass, composite PVC, wood, vinyl, and other long-lasting materials. 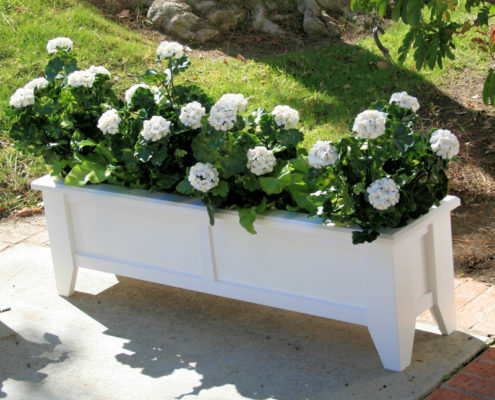 Our Elevated European Planters with Boxwood Hedges add height and textural depth to your backyard décor. 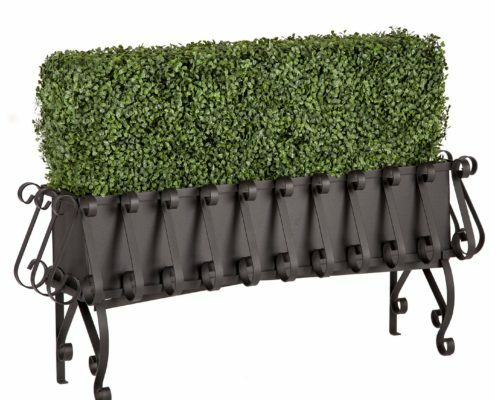 The chic, scrolled detailing of this European-style planter is further showcased in an elevated profile that can be used individually as a decorative piece, or collectively as a decorative barrier around a patio seating area. And the natural-looking faux boxwood hedge requires zero maintenance, and is UV-protected so that it maintains its vibrant greenery and pristinely shaped hedge in any weather. For a clean, crisp planter that acts as the perfect backdrop to bright blooms, our Hampton Premier Deck & Patio Planter fits the bill. Its double-panel design, which is offset with elegant molding, can be left bright white, or painted in the color of your choice. And since this planter has an elevated, four-leg design, it’s perfect for creating a decorative barrier around your porch, deck, or patio. Find more fabulous patio planter designs and decorating ideas here.